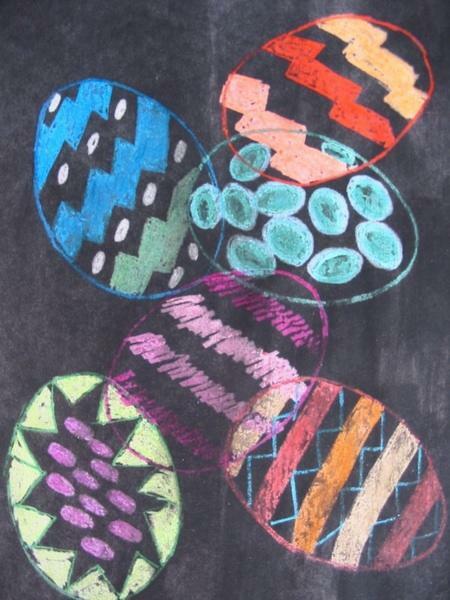 Combine art and music appreciation by creating music-inspired art! 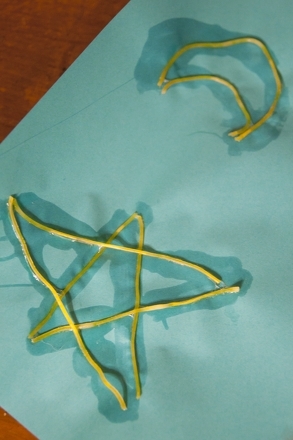 In this activity, your child will create abstract art with a rhythmic flair that swirls, bounces, and moves around the paper. 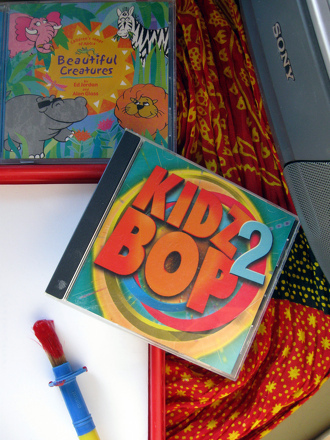 Play your child’s favorite songs or introduce him to new ones as he paints the day away! 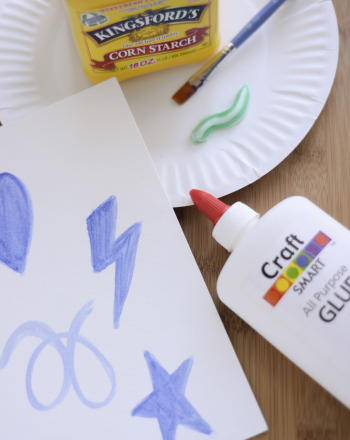 This activity will encourage your child to explore and experiment with the art process of painting, learn about line and shape, and develop an understanding of rhythm and tempo. Try varying the types and genres of music selected. This will help your child explore his own emotions as well as listen to the music of other cultures. Play the music for your child. Ask him to describe how the music makes him feel. Happy? Sad? Energetic? Next, ask him what colors he thinks of when he hears the music. 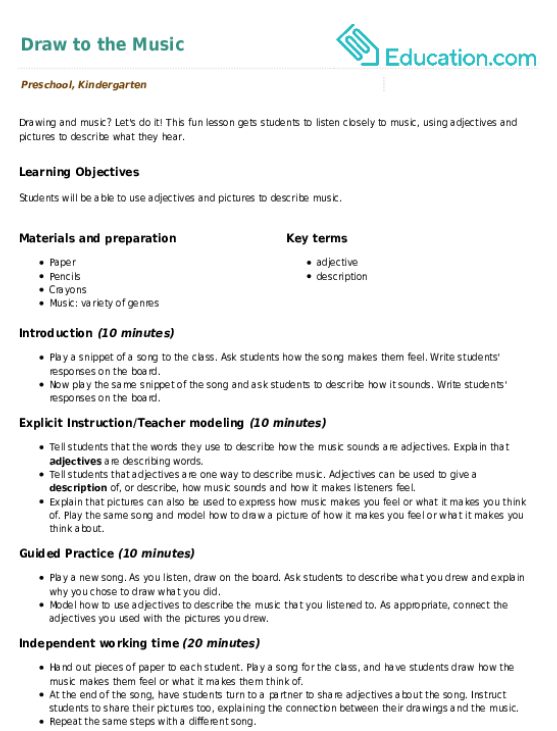 A happy fast song may correspond to bright colors such as yellow, while a slower song may be linked to blues and grays. 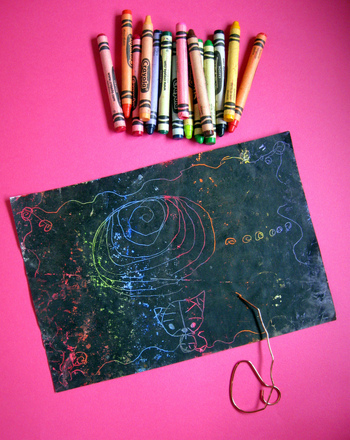 Give your child a large, blank piece of paper and a variety of paint colors. Play the music again and encourage him to begin painting to the sounds. If he is having trouble getting started, try a demonstration painting yourself. Move the brush to the music making long sweeps, dots, or splatters. Give your child another piece of paper, and introduce another song. This time, change the type of music played. If the first song was fast paced and upbeat, try a slower one this time around. 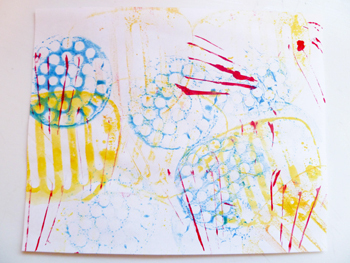 For a different effect, try layering different musical paintings onto one piece of paper. 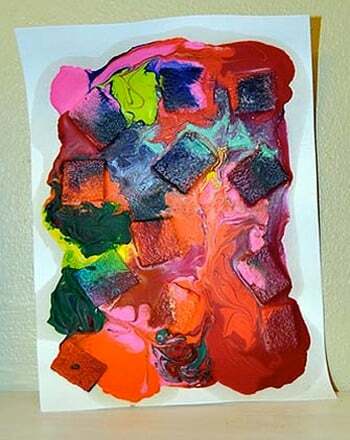 Afterwards, ask your child to find what parts of his painting go with what song. 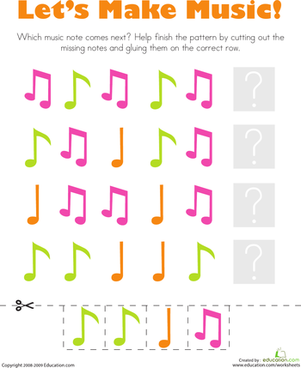 Instill a love of music in your child with this easy music coloring page. This coloring page features some basic percussion instruments and a guitar to get your child excited about music.